The Elite Athlete Appearance Program was developed to help make young athletes’ dreams come true. This grant provides elite athletes an opportunity to meet and inspire kids, coaches, and fans all over the country. Jeffrey A. Levitetz committed $1 million through his family’s foundation to The University of Alabama’s College of Arts and Sciences to establish the Levitetz Leadership Program. Sugar is the sweetest Dolly's Dream dog available for adoption at Humane Society of Greater Miami. Our pet of the week is Isabella, a 1 year and 9 month old bull terrier mix. She has a tough exterior but is actually a sweetheart. 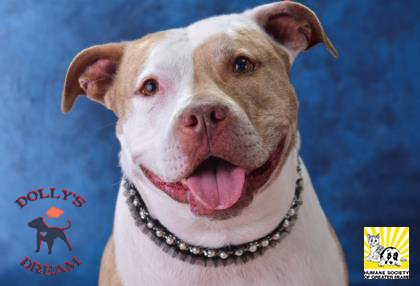 Isabella is part of the Dolly's Dream program, which highlights two bully-breed type dogs at a time to help their chances of getting adopted. We are excited to announce a new opportunity to change lives. Starting today, the Levitetz Family Foundation will match up to $25,000 in gifts towards Arc Broward's Outdoor Fitness Zone and Playground. Purity Wholesale Grocers (PWG) was founded on the belief that if you do what you say you are going to do, you will achieve what you set out to achieve in business. Now a nationwide family of independently operated companies, we pride ourselves on being the recognized leader in the industry. With financial strength, technical innovations, professional employees, and a customer-first approach we are committed to setting new standards of excellence. In the business world and beyond, we support and care for our co-workers, our customers, and our communities. Purity Wholesale Grocers is not just a business, but a way of doing business.